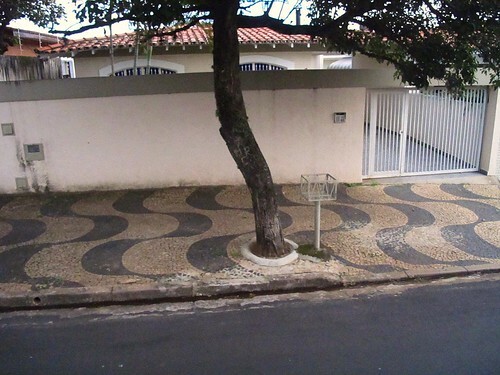 I'm a big fan any society/ culture that considers the aesthetics of the mundane. 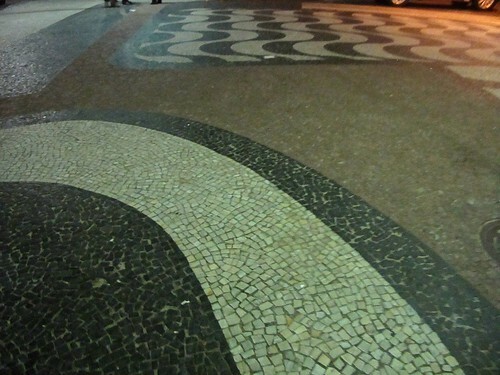 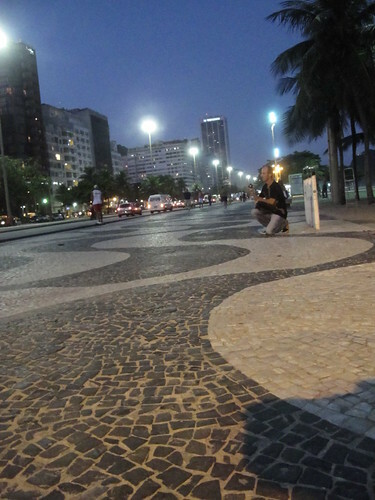 Everywhere I went in Brazil -except Brasilia, which is a 60's modernist fantasy- there were fantastic mosaic sidewalks. 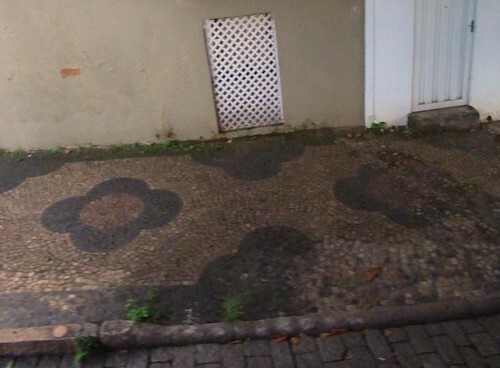 It's called Portuguese Pavement and found, obviously in Portugal, as well as the prior colonies. 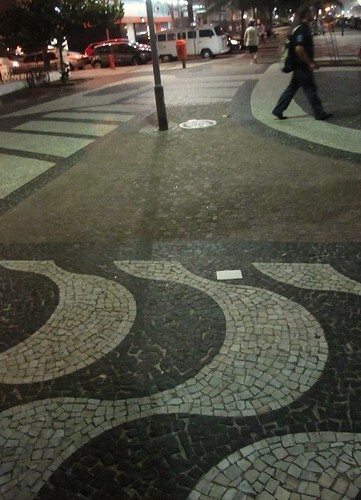 Hearsay has it the white tiles represent European immigrants, the black tiles represent Africans brought as slaves, and the red tiles represent the native population; in sidewalks and life it looks like the natives got screwed in representation. 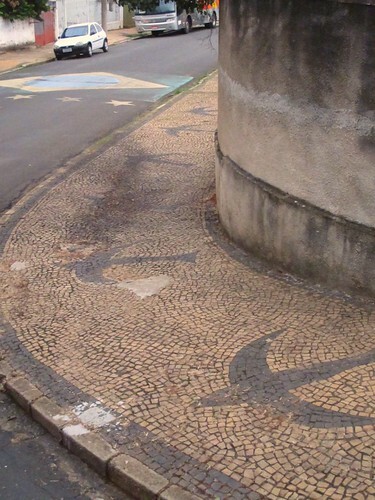 How great would it be if all our steps were on public art?